Do you want Florida living at itâs finest? Then this is the home for you. 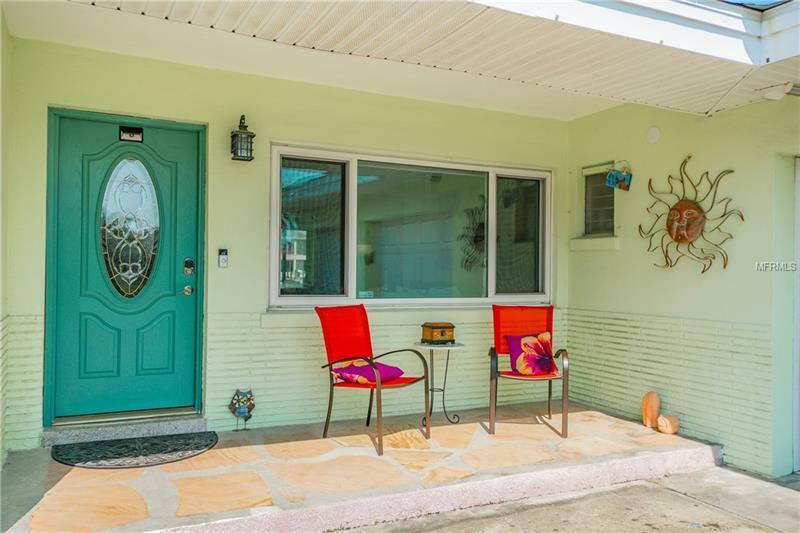 Come and see this great home with the amazing water views from your huge and enclosed Florida room, patio, dock, or of course your gorgeous pool. Canal and open water views of Boca Ciega Bay on Isle of Palms in very popular Treasure Island. This location has everything including the gorgeous Sunrises, dock with power, boat lift, and so much more. Here is your chance to own a waterfront home at a great price. This home features 3 bedrooms, 2 baths, and a 2-car garage. The home needs very little and all the big stuff are done. Plenty of life left in the rof and ac unit, newer hurricane windows, spacious Living/Dining Room area, nice landscaping and great curb appeal, and fenced yard too. Perfect home for boating and fishing. Close to everything including Johnâs Pass, downtown Treasure Island, Beaches, Shopping, Restaurants, and entertainment. This is truly the Florida lifestyle. Come on out before this one is gone and it will be at this price! Furniture is available and negotiable too.